Emerging Leaders are socially conscious young adults committed to leading change in San Diego. Together, we support the mission of Jewish Family Service and, in the process, help strengthen our whole community. Our next event is coming up on Monday, April 29th. We’d love for you to join us! RSVP by April 28th. Volunteers will sort food and assemble bags for the JFS Hand Up Food Pantry. 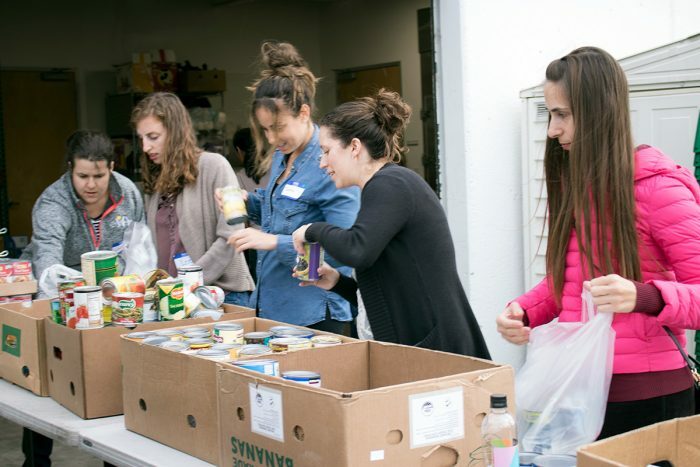 This volunteer event is a great way to help San Diegans in need and to make connections with like-minded peers. If you are able, please consider bringing food donations from the items listed below. Join us down the road after the volunteer shift for dinner and or drinks – appetizers are on us! RSVP for more information.